The Autism Project is a full time 2 year employment programme for young people on the autism spectrum who would like work but need more confidence, support, skills and experience. We use a module based learning system so students can start at the beginning of any term and can progress at a pace that best meets their individual needs. All students follow our supported internship curriculum for their first term and typically students will spend 3 terms (their first year) following this: they will learn within real work experience placements within either Guy’s or St. Thomas’ hospitals four days a week, supported by work-place mentors and specialist job coaches and attend class once a week, where they learn valuable employability and independent living skills and work towards City & Guilds qualifications. The objective is for young people to become ‘work-ready’ and to have gained a reference from their workplace. Students’ progress to the Year two curriculum once ‘work-ready’, typically in term 4, where the focus is on greater independence in the workplace (with a wider range of employers). Students are supported to develop their interview and communication skills and to actively seek and hopefully gain paid employment, a paid apprenticeship or further vocational training of choice. In year two students access weekly 1:1 job search sessions. TAP staff use person centred planning and our aim is to help all students reach their individual goals as defined in their Education Health and Care Plans (EHCP). Throughout the course there is a high level of 1:1 support. From September 2017 all our students will have access to our new counselling service. 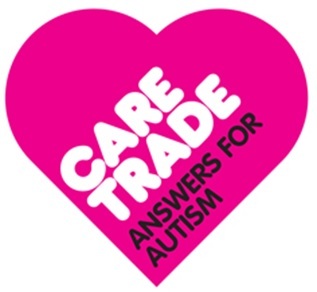 In addition The Autism Project supports young people to improve their independent living skills, become involved in their community and take steps to stay healthy through enrichment activities and social groups that run across all CareTrade services. This includes travel training. This service is provided initially by 4 days a week work placement within Guys and St Thomas hospital, supported by trained mentors and managers with regular visits from CareTrade mentor and job coach, combined with class based learning once a week. Employability and Function Skills are taught. Students (and their parents/carers) are responsible for ensuring students are able to get from home to their work placements (and back at the end of the day). We have a job coach and workplace mentors who will assist students with any daily needs or difficulties they may face in their work placements and travel training forms part of the programme. Individuals need to be responsible for their own personal care, lunch-times and getting around the hospital independently. A young person’s place is funded by their Local Authority (usually by Education but sometimes Social Services or a combination of these). This usually requires an EHCP to be in place or for an assessment to be in progress. Occasionally a student may be funded otherwise. Applicants should complete a TAP application form and supply copies of documents as requested including a copy of a current EHCP where applicable. We hold informal interviews with all applicants (who meet our primary criteria) and all suitable applicants are invited to complete a half day assessment and DBS check. All students are required to have an EHCP in place prior to starting. Any additional support needs should be discussed when applying to ensure the correct support is in place prior to starting. This service is for young adults with a diagnosis of autism, living in London, aged 18-25 years old and who wants to work. They should already have, or be in the process of being assessed for, an Educational Health Care Plan (EHCP).